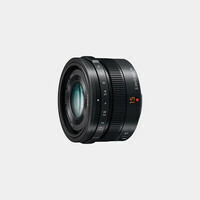 One of the most distinct lens designs, the Lumix G Fisheye 8mm f/3.5 from Panasonic is a 180° fisheye that produces unique and creative distortion for Micro Four Thirds mirrorless cameras. 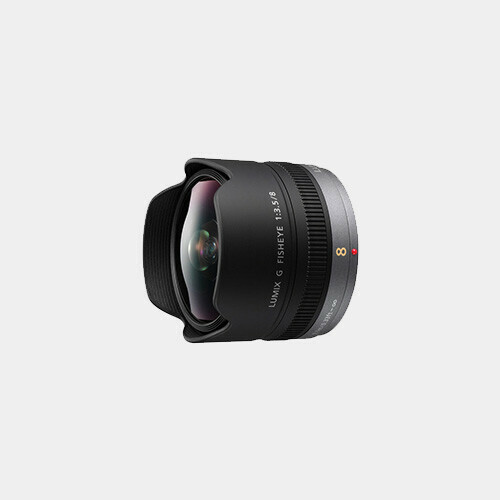 Pairing a modest maximum aperture and a sophisticated optical design, a compact and lightweight form factor is possible, and the optical design also features one extra-low dispersion element to maintain high clarity and color accuracy. Individual elements have also been multi-coated, and a built-in lens hood is featured, to suppress lens flare and ghosting for increased contrast and more accurate colors. 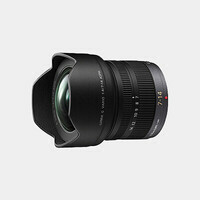 Additionally, a stepping AF motor and an internal focus mechanism afford quick, quiet, and smooth focusing performance to suit both video and photo applications.